This unique Gin a rich scarlet colour and beautifully balanced with a distinctive fruity nose and a burst of cranberry flavour accompanied by Chistmas spices.Using their superb multi-award winning Anno Kent Dry Gin as a starting point, Anno Distillers add fresh cranberries to create a wonderful concoction which is then further infused with a selection of Christmas spices sure to delight your senses. Anno Kent Dry Gin is produced in small batches in a copper pot still named Patience in the Garden of England in Kent using some of the finest botanicals from the local area. Appearance: A scarlet, slightly viscous, liquid that exudes a beautifully deep and rich quality. Nose: A highly aromatic, rich and fruity bouquet with a distinctively spiced nose. Taste: Initially a big cranberry hit followed by a fantastic spiciness that is truly the taste of Chrismas. It is also smooth, complex and enticing with well-balanced flavours. Finish: A long, spicy flavour with a hint of sweetness that slowly smoulders, culminating in deep warmth to the chest. Bottom notes of woodland and floral botanicals coming from the base spirit are also in abundance. 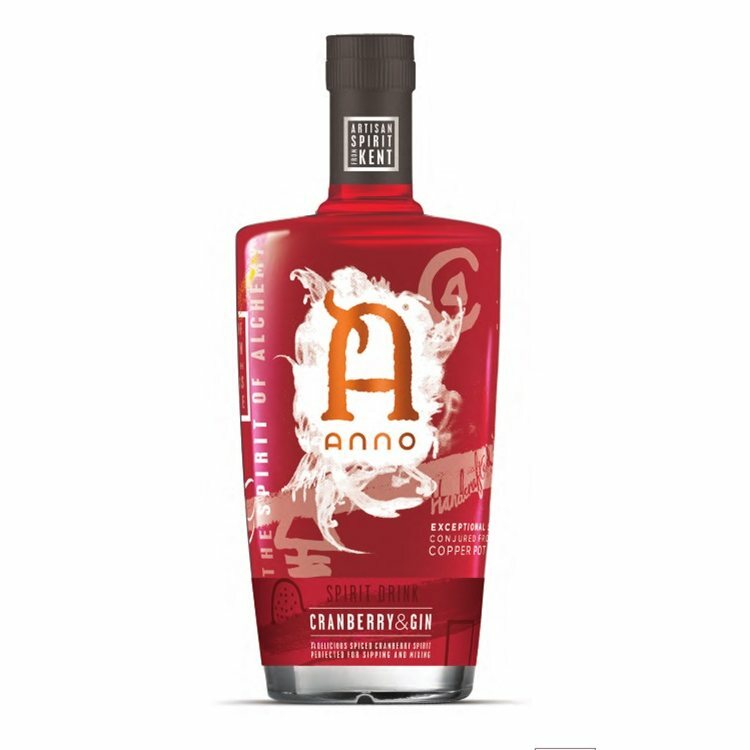 Anno Cranberry & Gin is a very versatile spirit that is perfect experienced neat but can also be enjoyed with soda, lemonade or tonic water, or combined perfectly with English sparkling wine or Prosecco ideal for a toast at Christmas or on a special occasion. Bought as gift, so not tried it yet. Passionate scientists producing high quality copper-pot still gin.